“Here are faces that I have found memorable. If they are not all as happy as kings, it is because in this imperfect world and these hazardous times, the camera’s eye, like the eye of a child, often sees true,” wrote Toni Frissell. 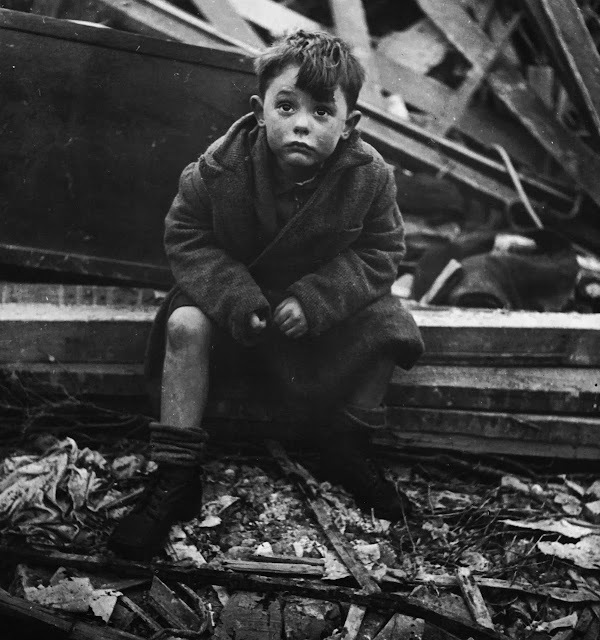 Those two eyes met in the below photo, one of the most heartbreaking photos to come out of the London Blitz. 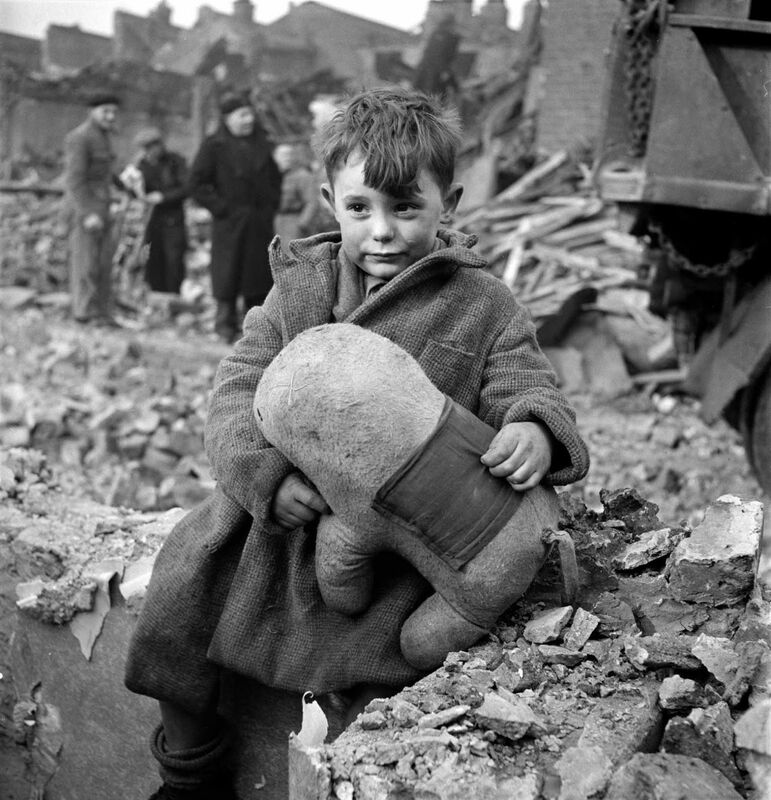 Toni Frissell’s famous image of an abandoned boy clutching a stuffed animal in the rubble of 1945 London. The boy did in fact survive the war and became a truck driver. Toni Frissell was one of the most famous fashion photographers of the day, working with both Cecil Beaton and Edward Steichen. During the WWII, Frissell volunteered for the American Red Cross, later becoming the official photographer of the Women’s Army Corps. She traveled to the European front twice, and spent time in London documenting the horrors of war above and below the ground.